Next week's event will feature brand new products from Funktion-One, Meyer Sound, Cadac and more. There will be more UK product debuts than ever before at this PLASA Focus: Leeds, the organiser says. 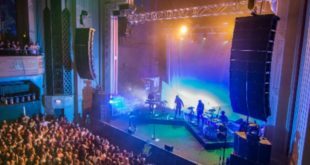 The show takes place at the Royal Armouries on May 12th and 13th, and a number of audio manufacturers will use the event to unveil their latest lines to UK visitors for the first time. 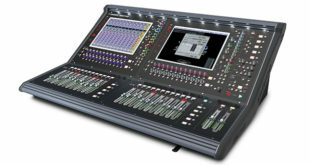 CDC six, the new addition to Cadac’s digital console family, is based on a further development of the advanced gesture-navigation interface developed for the flagship CDC eight, and promises all of the same high quality audio characteristics of the existing larger model, including very low latency. It claims to offer the fastest, most intuitive user interface and highest possible audio performance of any audio mixing console. 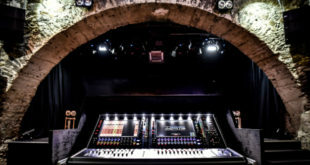 Funktion-One will present its new Evolution Series. The two models – Evo 6 and Evo 7 – are both high intensity loudspeakers which utilise Funktion-One’s latest technology. “The first users of these systems are reporting remarkable coverage and performance,” according to the company. 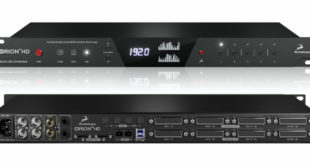 Pro Audio Systems (PAS), Meyer Sound’s official partner for the North of England, has announced that the event will be the very first showing of Meyer’s new LEOPARD and 900-LFC anywhere in the UK. Source Distribution will be showing products from a range of its distributed brands, including the first-ever UK demo of the PreSonus StudioLive AI digital mixer linked via AVB to an RM series rack mixer.